From the thrill of a new harvest and busy emptying of crates to the quietest depths of the cellar, grapes make their journey following the natural descending way. The course of the processing is devised in accordance with gravity, from removing the stalks from grapes and several-days of contact with must and skins, o maturing the wine in the quietness of the lowest level in the modern cellar with the optimum capacity of 200,000 litres. 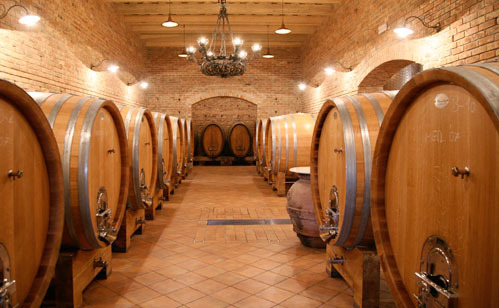 The capacity is effectvely larger, but at Petrač Winery wine is not only produced but also aged until the moment when it is ready for the market. 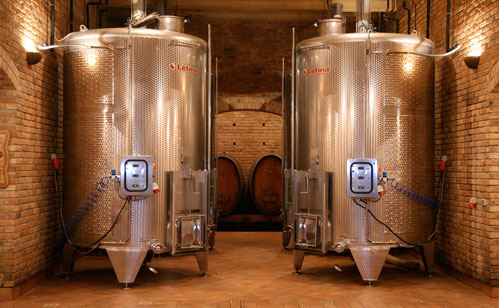 With abundant space, modern equipment and technology, Petrač family cellar provides perfect conditions for creating and maturing wines. Special attention is given to the preservation of primary aromas in varietals, which is the reason for temperature controlled fermentation. 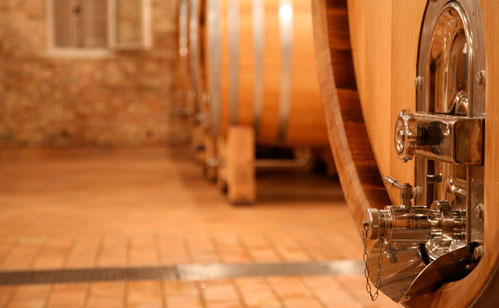 All the wines undergo controlled maceration process, while red wines always undergo malolactic fermentation and mature partly in large 2000-litre Slavonian oak barrels, and partly in French barrique barrels (Allier). Only one look at a tractor struggling with steep slopes eliminates the prejudice that it is easier to cultivate vineyards with machinery. This scene embodying bravery and determination, as well as willingness to take on new challenges, marks every harvest in Petrač Winery. Whoever is acquainted with the colourful history of Zagorje, knows that plots of land, which stubborn locals defend till the last drop of wine, got regularly split and divided from generation to generation. 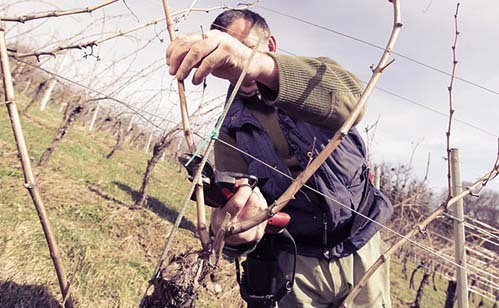 In such environment, owning an undivided 10-hectare vineyard is no small achievement. When all the plots were merged into a unique vineyard, preconditions were set to build a modern winery, in the area where it is common for family winemakers to travel twenty kilometres just to reach their half a hectare scattered over five, six or even more locations. 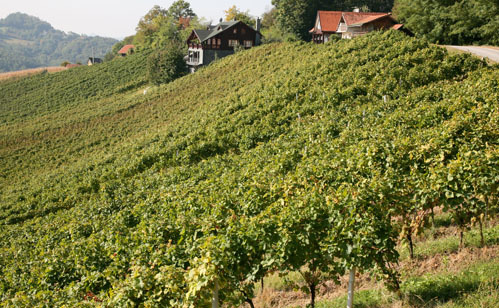 On 10 hectares of our vineyard located on Hršak breg hill, we grow around 40,000 vine plants. It is the ideal number for the so-called single Guyot, a vine growing system traditionally and logically rooted in this area. However, this vineyard is quite special because out of all the plants, 22,000 of them belong to Cabernet Sauvignon and 4,000 to Merlot! 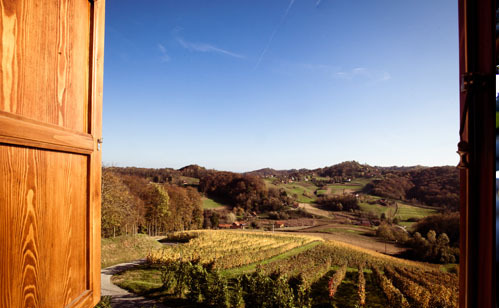 Petrač Winery was the first in Zagorje to introduce red Bordeaux grape varieties, with which it has had considerable success at international and local competitions. Thanks to Petrač's vision, today these varieties are recognized and recommended not only for Zabok locality, but for the whole Zagorje region. 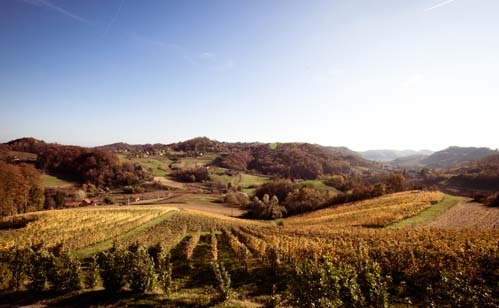 All the characteristics that define Zagorje terroir also allow Cabernet Sauvignon and Merlot to retain their vital acids even in late autumn, giving the grapes the opportunity to ripen completely and evenly. These God-given conditions require yield reduction, achieved through green harvest. This kind of selection guarantees quality, making Hršak breg recognized as premium terroir for Bordeaux varieties in the heart of "white" Zagorje. 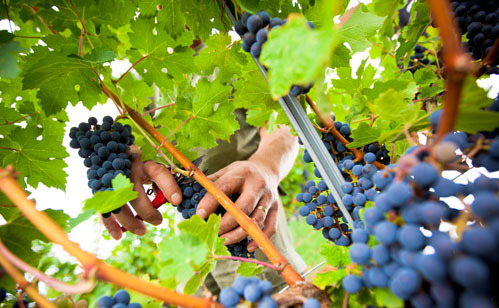 Most red varieties were planted during 2003 and 2004, while white varieties date back to 1998. 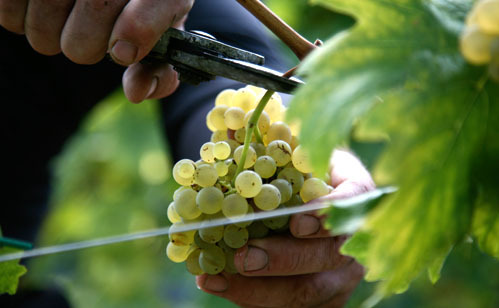 Today, 5,000 Graševina vines, 5,000 Chardonnay vines and 1,500 Rhine Riesling vines form the basis for producing monovarietal white wines in Petrač Winery. Each variety and each harvest present a new challenge, to which a glass of well-balanced and elegant Graševina is raised in Petrač Winery.